There are some functionalities that exist solely on servers running Microsoft's own operating system, Windows Server. To access these functionalities, you will need a Windows Hosting plan. Our toplist and in-depth reviews of the best Windows Web Hosting providers should aid your decision. Windows Hosting is the type of hosting solution that utilizes a server running on Microsoft's operating system (OS), known as Windows Server. 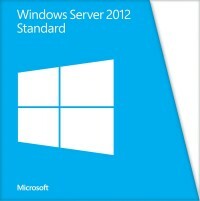 There are multiple versions, but the name 'Windows Server' can be used to accurately describe them all. Windows Server aims to deliver a single-purpose solution for Internet service providers (ISPs), application developers, and any others who use specific web functionalities such as Active Server Pages (ASP) or the .NET framework. Web developers using Windows Hosting can build web pages and create web services that can communicate with other platforms by using industry standards such as XML and SOAP. To avoid confusion, it is important to remember that Windows Server OS is an entirely separate entity to the Windows OS that runs on a personal computer (i.e. Windows 10), and there are no recognized benefits from using them together. They are two independent pieces of software with very different purposes, produced and distributed by the same company - Microsoft. Hosting servers require an operating system (OS) to function, just as personal computers, mobile and tablet devices do. Windows Hosting requires the server to run on the Windows Server OS produced by Microsoft. 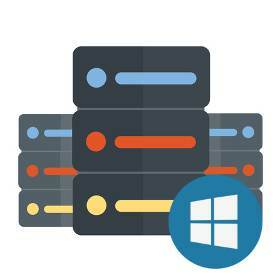 Windows Hosting benefits from advancement in Internet Information Services (IIS) 8.0, Microsoft Active Server Pages (ASP), ASP.NET, and the Microsoft .NET Framework. This makes it easier to build and host web pages and applications, as well as XML web services. As a result, it is an extremely successful platform for ASP.NET based intranet and Internet deployments. Do I need Windows Hosting? 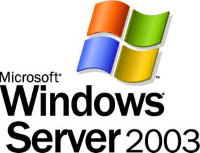 The first version of Windows Server OS was released in 2003, and was given the uninventive but descriptive name 'Windows Server 2003'. New versions have since been released every 4-5 years, and cater to all types of businesses and individuals. Windows Server is built with web developers and administrators in mind. It is a powerful OS for serving sophisticated websites that meets consumer needs, and provides a platform for development, allowing you to build apps and business logic blocks quickly and easily. Windows Server is versatile. Despite preferring its users to utilize the .NET Framework, Windows Server also has built-in compatibility with the vast library of open-source technology available online. Storage Tiering granted the ability to move data between different storage classes via the OS itself, rather than on the actual storage system. Desired State Configuration, popular with system admins, simplified the maintenance of multiple server configuration. Work Folders - this file replication service brought the functionalities of other programs such as Dropbox to business servers. Windows Hosting is considered to be a good starting point for Web Hosting beginners, as it is easy to use and requires little interaction with the command line. Strong overall compatibility, simpler overall management and updates are other recognized strengths. However, Windows Hosting Servers are typically more expensive than their Linux counterparts. Web Hosting companies are required to purchase a license to use Windows Server - a cost that companies using Linux, a free open source OS, need not consider. For this reason, the majority of Cheap Web Hosting solutions run on Linux servers. Linux Hosting is also considered to be a better option if you are using PHP, Pearl, Python, CGI or WordPress, as although Windows Hosting supports these features, there is a greater level of stability and support on the Linux environment. Perhaps the best reason to choose Windows hosting is the .NET Framework. You’ll have access to a wide array of third-party software and open-source software, and if you choose to build your own software the .NET tools will give you fantastic versatility. ASP.NET is an open-source server side web application framework, created by Microsoft so that developers and programmers could create dynamic web pages. ASP.NET is considered a very powerful platform upon which to base a modern eCommerce solution. Windows Servers predominantly use MS SQL databases. This is not to be confused with MySQL which, although compatible with Windows Hosting, is used mainly on Linux servers. There are few differences between the two in terms of features, although MS SQL databases integrate well with tools for the .NET framework and Windows Server environment, which is a clear benefit. We found that WinHost's focus on Windows Hosting, combined with an excellent support team, flexibility in features, a 30 day money-back guarantee and possibilities of both short and long-term contracts gives them the edge compared to the other providers. Is Windows Hosting right for me? Although Windows Hosting is generally more expensive than Linux Hosting, the price difference is not impossibly large. Additionally, those who opt for Windows Hosting can access a wide range of tools and resources, many of which are not available with Linux Hosting - ASP.NET and MS SQL in particular. Ultimately, it comes down to personal preference and/or the needs of your business. If you are a fan of the Windows environment and want to have access to secure, reliable software released by Microsoft and their partners and don't mind paying a little extra, Windows Hosting is a very worthy choice. Get your Windows Hosting plan today! If you are still unsure you can check out our Knowledge Base for more ideas, or Compare Hosting plans side by side - whatever you decide, Web Hosting Search is here to help you find the best deal!